My favorite stack of fabric in my studio is, without a doubt, my hand-dyed stash. 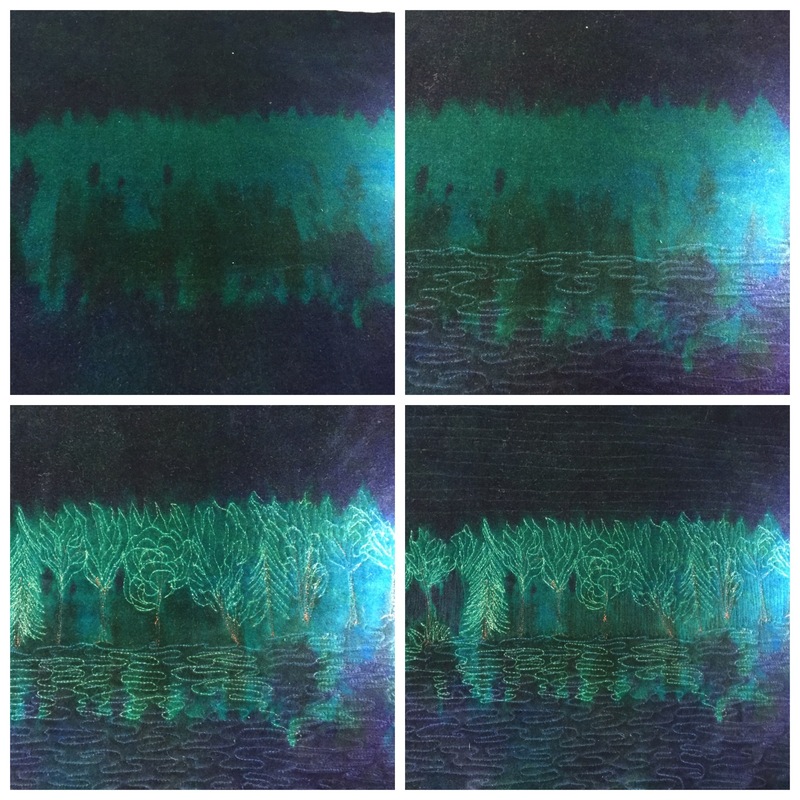 I am always inspired by the artists who wield their magic with dye pots. While a lot of this stash is solids (if you’re not a Cherrywood fabric fan, you should be :)! ), there are other pieces that find their way into my heart that are highly patterned. If you listen carefully, the fabric will frequently tell you what to do. See the photos above that show the progression of bringing out a tree-lined lakefront (not finished yet!) that appeared in some lovely pieces dyed by Freida Anderson. 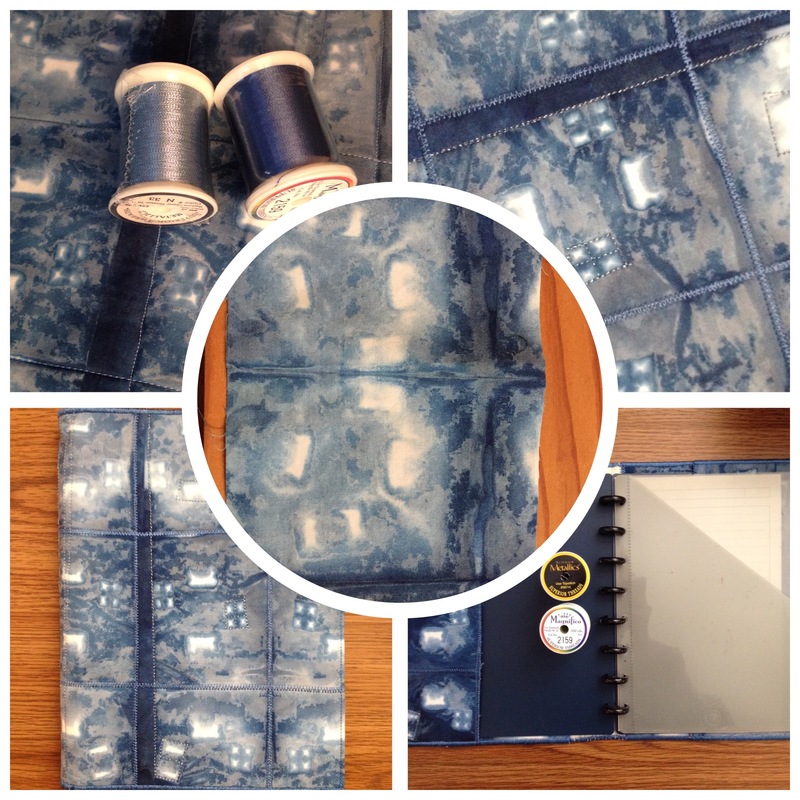 The indigo piece simply insisted on becoming a notebook cover! What does your fabric say to you? This entry was posted in Uncategorized on December 24, 2015 by neonkittyquilts.